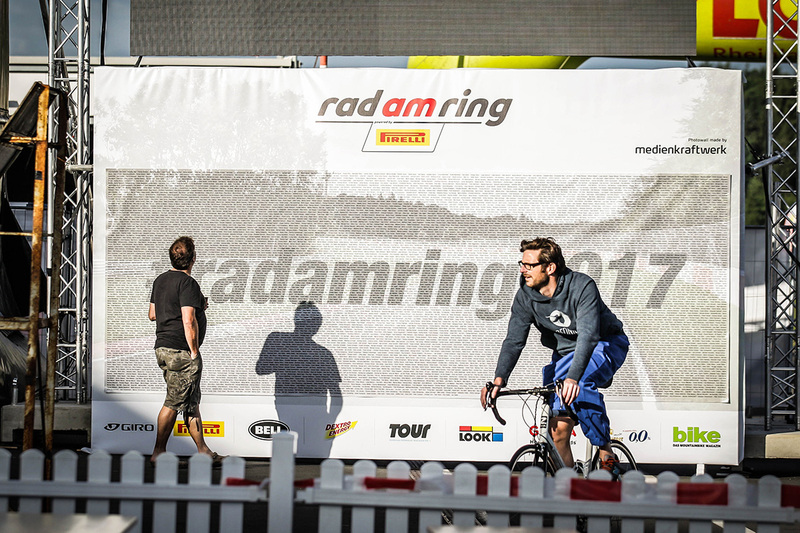 Thanks to our partner Medienkraftwerk you can make the experience Rad am Ring and eBike am Ring in pixels. In front of our exclusive photo wall you can shoot wonderful digital souvenir photos. Find your name, take a picture and post it on the social platforms with the hashtag #radamring. Not only those who stayed at home are happy about your snapshots, but we too. The photowall is next to the stage at the Biergarten.